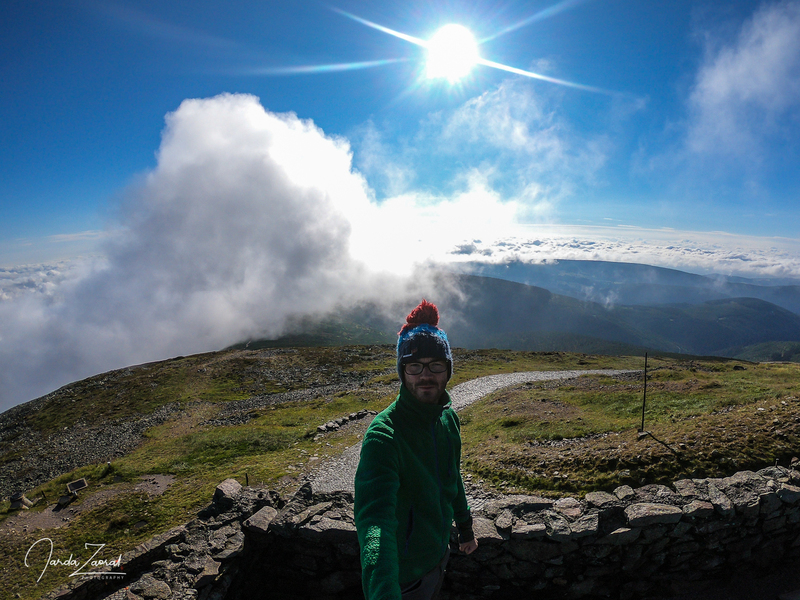 My home country’s highest point Sněžka was the first mountain above 1000m. With its 1603m it is not the highest in Europe at all but you can actually feel there real mountain conditions. I experienced heavy rain, fog and strong wind but also 15 minutes of sun so I could see the landscape on both the Polish and the Czech side. Getting back to my home country was nicer than I would ever expect. I continued my with my Interrail card from Luxembourg through Germany to Prague. After four delayed Deutsche Bahn trains I finally took one without any problem and it was the Czech railways train! Saying this some years ago when I was weekly commuting from my city Olomouc to Prague it would be a joke which nobody would believe in. This time it was perfect and I even got a newspaper for free and my favourite Czech drink Kofola! What a welcome home. In a few hours I got to Prague where I met my two sponsors- probably the best shop for lightweight packing Pod 7 Kilo where I received the lightest tent in the world and Panosociety offering amazing equipment for panoramic photography. I can’t wait to write my reviews about both of these products. Later, I met my friend Iva who joined me for my first peak higher than 1000m. The journey from Prague to Pec pod Sněžkou (the starting point to Sněžka) took around 3 hours by car. Unfortunately, the weather forecast was correct this time. It was cloudy, later foggy and it was even raining cats and dogs during our last 3km. The first big rain of my expedition had to come sooner or later. Good that we didn’t care much because there are many cosy huts in Krkonoše and most of them have their own breweries so there are plenty opportunities to warm up and get some energy. 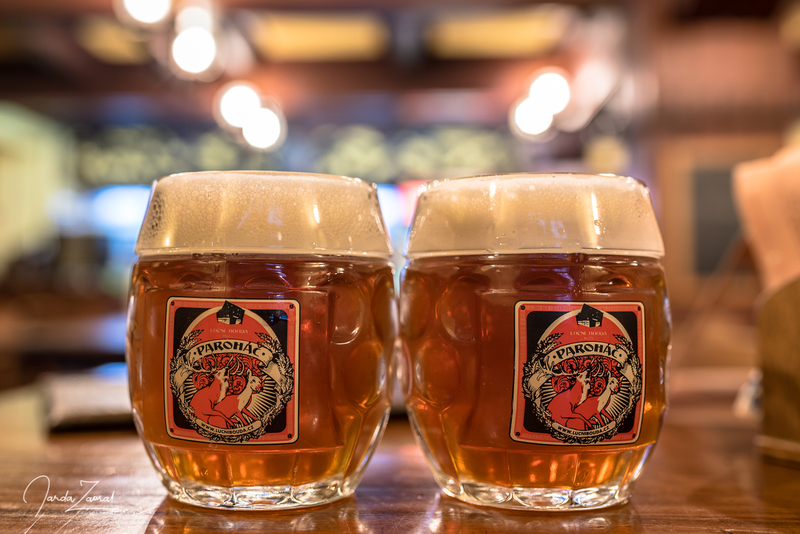 If you decide to visit Krkonoše and have more time you can actually do the whole “Krkonošská pivní stezka” – the walk with visit of all ten breweries and become a proud Czech (I guess you know the Czechs drink most beer per capita). The Czech cuisine will warm you up for sure too. 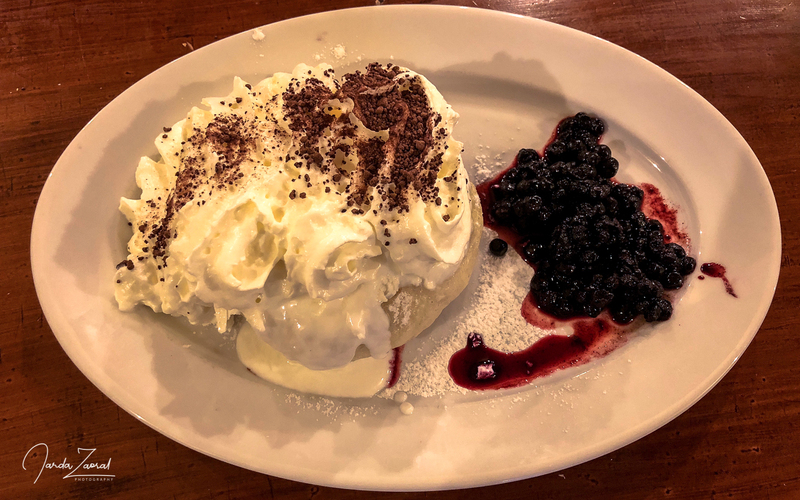 We decided to taste local blueberry dumplings at Luční Bouda chalet. We also slept there with hope for better weather for sunrise. We woke up very early in the morning to catch a gap in bad weather which was supposed to come according to the forecast. Unfortunately, the forecast was wrong this time and it was still foggy when we woke up. We decided to go up to Sněžka anyway. Maybe, good weather will come later. And really. 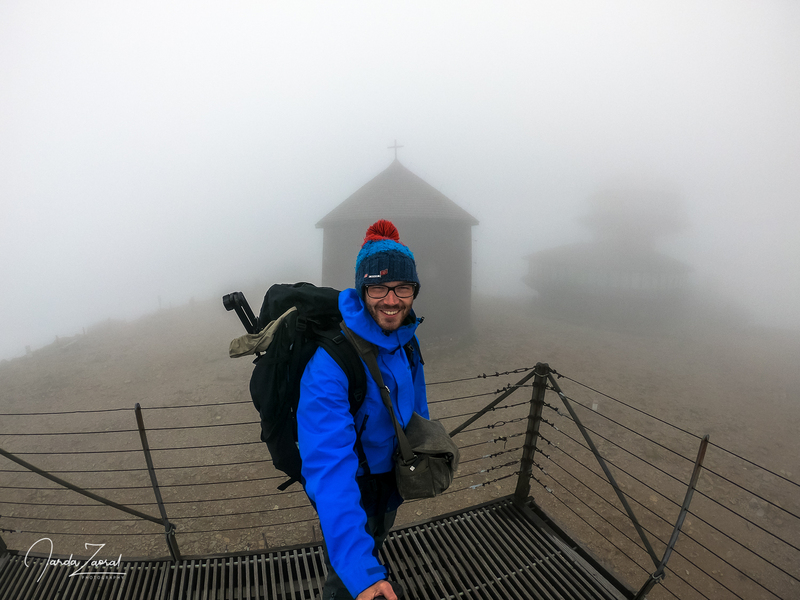 When we got up to the top the clouds just disappeared and we could enjoy 15 minutes of an amazing view over both Polish and Czech lowlands. The clouds came back soon though and it became cold. We decided to get back to our car in the valley. Just before leaving we also checked out the local post office and we got lucky. It was just about to open. Besides sending postcards you can also order a hot drink or buy some souvenir. Personally, I couldn’t resist buying a ticket to the viewing platform from the post office’s roof despite the bad weather and I am happy I did that. I think I made the local seller’s day. When I got back she was still laughing out loud. Is it weird to buy a ticket for an observation tower with a view of fog? Despite not having perfect weather, I am happy to visit our highest peak. Even though it is not as high compared to other EU Peaks the national park around is beautiful and I am glad to taste many interesting beers on the way. After Sněžka I came home for two days to rest before a tough climb in Slovakia and look: Isn’t my city beautiful? 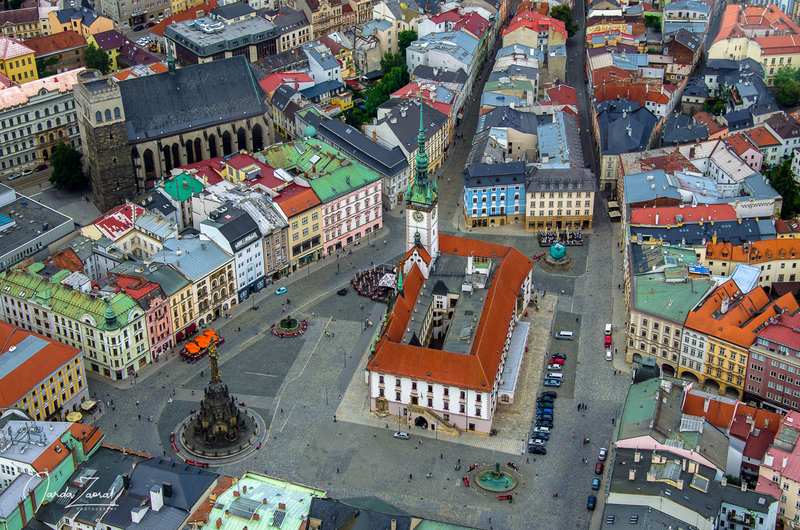 Don’t miss Olomouc if you ever visit the Czech Republic. Learn to say “Ahoj”. A greeting which you will hear often from other tourists when hiking in Czech mountains. Participate in “Krkonošská pivní stezka” – Krkonoše’s brewery walk and try many interesting beers on the way. Send a postcard to your relatives from the highest point of the Czech Republic. It is the only EU Peak from which you can directly send a letter.